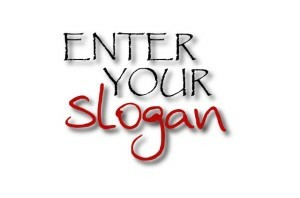 In this article, you will find a collection of various corporate mottos. You might have heard some of the more popular ones but I’m sure you haven’t heard all of them; especially the really great ones – or the pointless ones! Let’s find it out! Many enterprises and corporations do not call their slogans corporate mottos any longer and the term of a corporate motto has changed within time; others include their slogans nowadays into their advertising campaigns, e.g. Nike’s “Just do it”, L’Oreal “Because I’m worth it!” or even in their product names, e.g. IBM’s “Thinkpad” and “Thinkcentre”. Above is a collection of some really great and inspiring corporate mottos as well as the slogans from some really huge and famous companies. Some of the mottos really miss the point, as they are not clear, focused or of any kind related to the company. The result of this is that the slogan is not effective and does not do much for inspiration (of employees and customers!). An effective corporate motto has not to be sweet, cute or super short. What important is that the slogan is related to the vision, objectives or aim of the company and creates sympathy with the customers of the company, which allows them to remember the slogan! Microsoft´s old slogan “Where do you want to go today?” could have been the slogan of an airline or bus company, but it simply did not make sense for a regular customer * that had to sit at home on his PC to use Microsoft´s Software. (*we are speaking here of a regular person that hears or reads this slogan for the first time without digging into the meaning of it; we are not speaking of a marketing expert that has several hours to analyze the whole meaning of the slogan!). The article Famous Corporate Mottos was brought to you by Success Blog. Thanks for the feedback! I’m glad you like the article! And oh yea, Microsoft’s “Where do you want to go today?” is great, indeed. Sure, just contact me via email to discuss the matter. You can reach me at service (at) planetofsuccess (dot) com. Do you have any ideas that you could help me with on a Motto for a real estate team? Hi Steve.. very nice article! and i love your slogans/motto..
Hey icechen, you’re quite right, the slogan you named is fantastic! The right good at the right time. Great article Steve! What are your suggestions for my company? We provide termite & pest control services to residentials & commercial clients. Thank you Steve that was indeed very prompt. great article, Steve… what would you suggest for a IT services company ? Providing the infrastructure for your success. Really helpful article! Do you have any ideas for a business company that teaches students about entrepreneurship and business and lets them organize events for others (like something along the lines of “educating young minds…”? Shaping the minds of the future! i am into phone(selling).what will be mine steve? The phones that connect the world. Hi Steve, what would you suggest for my new born herbal pharma? Perhaps: Herbs for your health! What would your suggest for my multi level marketing company of health and beauty product? Your product, our marketing expertise. we are students we graduated from our Sec. school. So we created a group called “BESA” which means B.I.C.E Ex-Students Association so Need A Nice Motto which means slogan please!!! The finest linen for you. My company is a financial consulting company and we are looking to have a short, concise slogan to show everyone we are better and faster. What would you suggest? Hi Nick, feel free to contact me via email if you’re interested in my services. Hi Thilagah, feel free to contact me via e-mail for an offer. Hi we have this “production is our priority but quality comes first” i personally did not find it good however did not like the word but. My company is into a various marine supply of goods & service provider and we are looking to have a short, concise slogan to show everyone we are better and reliable. What would you suggest? High-quality marine supply since 1984. Hey Steve, i have a new food store named (overloaded yummy’s) i need an attractive motto thanks………………………..
next, if it is possible please help me to find a good slogan, what would you suggest for my company which manufacture Air & Gas compressors as well as Oxygen and Nitrogen generators. I am in the beginning stages of creating a slogan and logo. Can you please help with a slogan for my jewelry business? I check my links every few months to make sure they’re still good. I’m really enjoying this thread! Mine is using assistive technology to keep elderly people at home safer and longer. What would you suggest for mine? Would you please suggest a slogan for my company. It’s a Software Development House for all type of requirements. what a great article. Steve, canyou help, what is your suggestion for an aerial apllication services company ? we’re doing spraying and/or fertilizing, we also the first in the region.